The Arson Bomb Squad reports the details of a fire which occurred on Sunday, December 8, 2013 at 4:55 am in Valley Stream. Update - December 9th, 2013 - The fire has now been deemed an Arson. The investigation is ongoing. Anyone with information about this crime should contact the Nassau County Crime Stoppers at 1-800-244-TIPS. All callers will remain anonymous. Valley Stream, NY - December 8th, 2013 - The Arson Bomb Squad reports the details of a fire which occurred on Sunday, December 8, 2013 at 4:55 am in Valley Stream. According to detectives, a 911 call was received for smoke in the vicinity of Merrick Road and Central Avenue. Fourth Precinct Police responded and observed a working fire at Purr-fect Cleaners located at 38 South Central Avenue. The Valley Stream Fire Department also responded with 8 Fire Apparatus and 50 firefighters to extinguish the fire. The Nassau County Fire Marshall was present at scene. No injuries were reported and the origin and cause is under investigation. 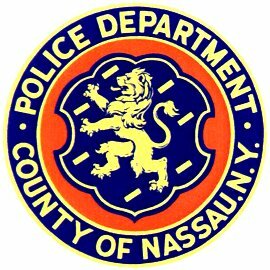 Subject: LongIsland.com - Your Name sent you Article details of "Nassau County PD: Massive Fire at Valley Stream Cleaners Under Investigation"